Sophia sells seashells by the seashore. 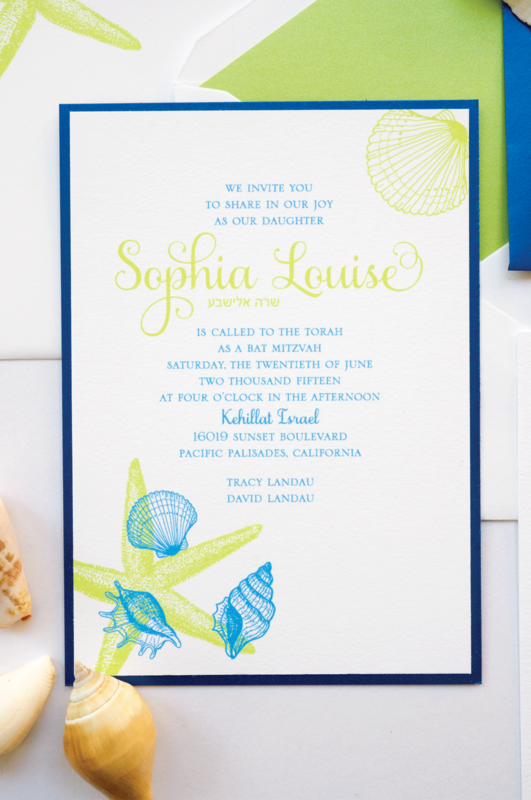 This beach bash Bat Mitzvah invitation called for super bright colors, playful fonts and a little bit of shimmer. Flat printed on white cotton card stock. 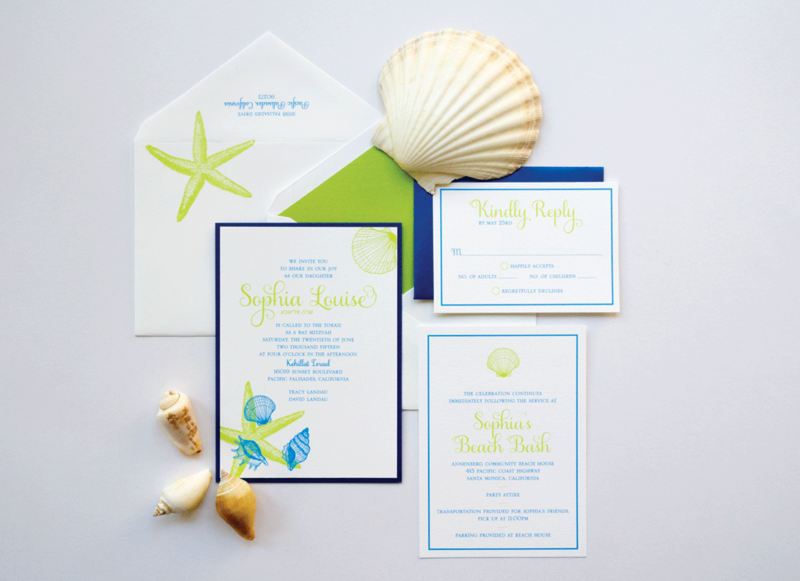 Suite included an invitation backed with metallic blue stock, a star fish printed envelope with a metallic green liner, a party card and a rsvp set that had white ink printed on the envelope.